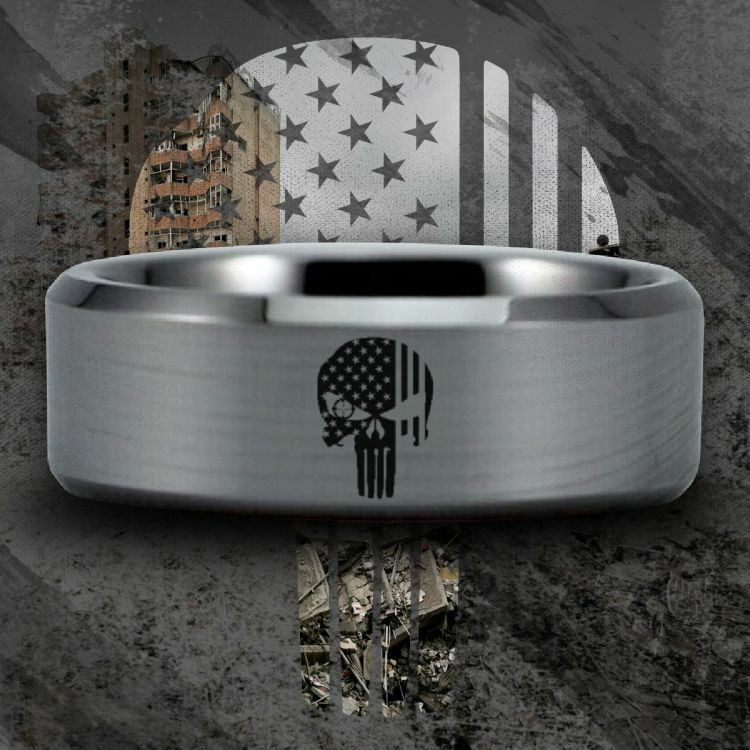 Silver Tungsten ISIS Hunter Ring honors the brave men and women that put their lives at risk in order to extinguish the bad doings of ISIS/ISI. Show your support in the fight against the Islamic State (ISIS/ISI) by purchasing this item. The design is sleek and superb. Perfect for any outfit. This ring will never lose it's shine, will never fade and is scratch-free. Did you know that Tungsten Carbide is the most scratch resistant metal known to man? Fitting enough for what it has to endure in the hands of a ISIS hunters and ISIS hunter supporters. Tungsten rings are quick and easy to remove from your finger in case of medical emergency, easier than gold. You get one free exchange if you bought the wrong size. We offer a 30 Day Satisfaction Guarantee or your money back. You'll be sent an invitation email to join our private Facebook group after the purchase of this ring. Our private Facebook is a collection of members all with a burning desire to learn and know more on how they can protect their family and what they can do to during an active shooter situation. If you select "Submit Size Later" you will be sent an email with instructions on how to size your finger immediately after purchase. Once done, email us your size!